Luke and Louise are in their twenties and reside in Hackney, East London. They live in a second floor, new build flat, which – having spent the last year assembling flat-pack furniture and rearranging stuff – they now call home. Luke is a mechanical engineer turned technology PR guy. Louise is an archaeologist at heart, but works as a PA. Their interest in DIY culture, the internet of things and sustainability prompted them to participate in the Homesense project. They hope to learn the skills and get the kit that are needed to make their flat a smart one, solve a few problems in their everyday lives, and save some energy along the way. Gavin is a 33-year old technical director who’s been involved primarily in the internet industry for nearly 15 years. He’s worked on large and small projects for a variety of different clients. In his current role he’s lucky enough to work with lots of different technologies in addition to the internet – these include physical technologies that he uses to create innovative solutions for his clients. His previous projects include internet enabled light poles, 1950s meters modified to track internet speeds, and many other Arduino-enabled solutions. One of his current personal projects is modifying a Big Trak to make it a little bit more intelligent! Gavin wanted to get involved with Homesense for a number of reasons. 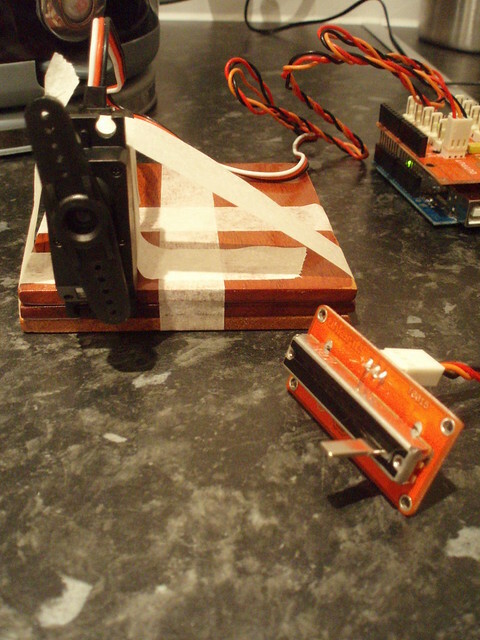 The main one was to see how the latest open source hardware can be integrated into the home. Everyone’s always thought ‘Wouldn’t it be cool if I could change the TV channel by shouting’ or ‘I wish the fridge would tell me when I’m low on milk’, and now we can do that! Plus it will help to feed his tinkering bug. 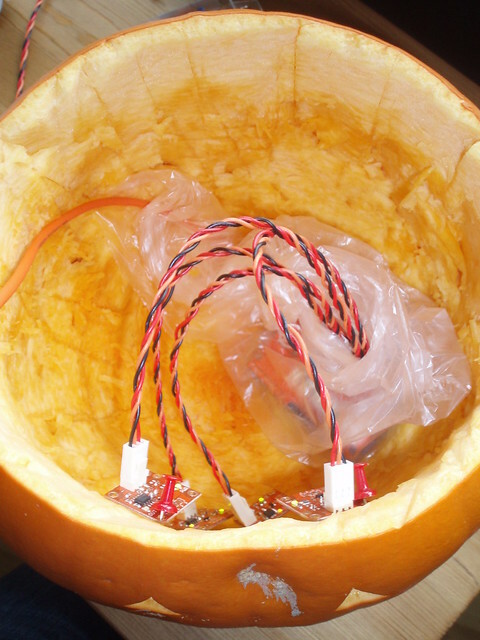 In the end, Luke, Louise & Gareth built 2 small experiments, one around a smart pumpkin for Halloween and the other, a test to control a kettle. More pictures on Flickr!